If you are heading to Minneapolis, you are in for a real treat. This city has it all – a thriving social scene, great parks and attractions and some fantastic restaurants as well. In this post, we will look at the top things to do in Minneapolis so keep your calendar open. As one of the top rated roofers in Minneapolis, we know a thing or two about the city! Looking for some culture and a bit of the outdoors? The Minneapolis Sculpture Garden is 11 acres of some of the most beautiful parts of the city. Check out the Cowles Conservatory or ponder over the significance of the amazing display of sculptures. If you are more into open spaces, a trip along the North Shore Drive allows you to see the best scenery along the way. The majestic Lake Superior can be seen in all it’s glory or take time out to check out the Split Rock Lighthouse and beautiful surroundings. It is worth stopping by the Frederick R. Weisman Art Museum for no other reason than to see the eclectic design of the building. Unlike anything you are likely to have seen, this building is fronted with steel sheets to create a range of interesting angles and plains to view. The museum itself is part of the University of Minnesota and offers an educational experience. It has a wide range of exhibits with a total of 20 000 pieces. You can see examples of Native American art and also some very fine Korean pieces as well. If you are in the downtown area, the Nicollet Mall is one of the best recreation areas. The complex features the Crystal Court and the IDS Center’s 775-foot tower. From there you can easily move into adjacent buildings by use of skyways. It is not the biggest mall in the region, that honor goes to the Mall of America, but it certainly is one of the best-looking ones. When it comes to fine-dining or downright great comfort food, you are spoiled for choice in Minneapolis. Here are some of the finest restaurants. Saint Dinette – The award-winning burgers here are something that you can sink your teeth into every day of the year. If you want to impress a date, you can also take advantage of fine dining with more unusual dishes with grilled octopus or duck tartare. They also make mean cocktails, so it’s a great place to grab a quick drink as well. Terzo – If you want Italian cooking at its finest, this is the place to come. Try the Porcini Sauce, or the duck eggs or opt for something a little more unusual with the dandelion greens. They do have a takeaway window from Monday to Friday between 11 am and 4 pm so if you need a quick sandwich for lunch, this is a great place to visit. Heirloom – This is one of the newer restaurants, and the focus is on farmhouse cuisine with a more contemporary twist. Try some pork jowl or black pudding or just stop in for a leisurely brunch. Joan’s in the Park – This is a restaurant that offers great food in a great setting. The premise is that the food is based around as many locally-sourced ingredients as possible. If you are looking for an authentic Minneapolis experience, this is the place. Spoon and Stable – This is one of the best places available Downtown but book in advance if you want a table. If you can’t get a table, you can usually eat at the bar as well. The cocktails here are also worth trying. This is a cherished local institution that has been around for fifty years. You’ll find authentic, hearty Polish food, and be able to enjoy a polka or two afterwards. If you have had enough of Southern food, you can find more soulful food here. This is more like a blues club from Chicago than your typical Minneapolis eatery. The building started off life as a bus depot in the thirties and is now one of the hottest spots to visit. The range of music varies from reggae to rock and just about everything in between. The venue attracts both regional and national acts and is always great for good music. This club would not be out of place in an edgy European city. It offers food that is divine and a great wine selection as well. This is another local institution and can trace its roots back to Prohibition. It is fun for locals and tourists and offers great service and drinks. If your idea of a great night out is a crowded spot with real drinks, this is your kind of place. This is a cozy place in a busy neighborhood. It offers great beer and wines and is an interesting place to take up people-watching or making new friends. This vibey nightclub is the place to go if you want to dance the night away. It employs the very best DJs and has three separate dance floors. It has a fresh vibe with films being projected onto ethereal smoke that is pumped into the club. The owners of this establishment love beer and so set out to create a bar where you could get the finest selection of beers. You couldn’t be more spoiled for choice as a connoisseur – there are over twenty-four different options on tap. You can try out the local craft beers or settle on beers brought in from Europe. This brings a touch of Spain to the city and is perfect for meeting up with people before heading out for a show at Hennepin Avenue. You can find traditional Spanish cuisine and more updated versions as well. The tapas are great and work perfectly with the drinks menu. 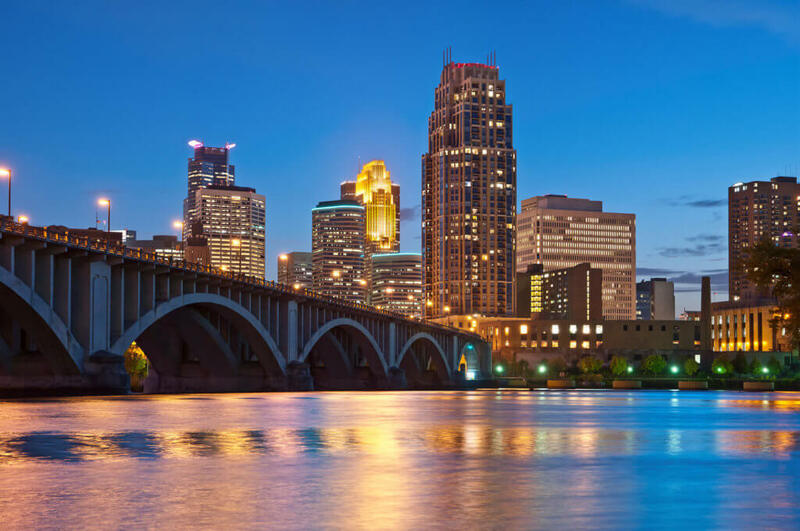 The city has something for everyone and is the perfect jumping off place to explore Minnesota in general as well. Contact Metro Area Construction if you need home improvement services in Minneapolis!